With experience in the boxing ring, on ultra marathon routes, studying law and with 10 years of having a yoga mat in hand, Adam (E-500RYT) brings a unique perspective to his yoga teaching. Adam’s love of anatomy has lead him to specialise in Alignment Based Vinyasa Yoga, studying at an advanced level under Jason Crandell and assisting him on his advanced teacher trainings. Adam has also had the pleasure of studying intensively with, the late, renowned meditation teacher, Michael Stone, and has had the the pleasure of learning from the likes of Richard Rosen, Cameron Shayne and many others, who have hugely inspired his current teaching method. 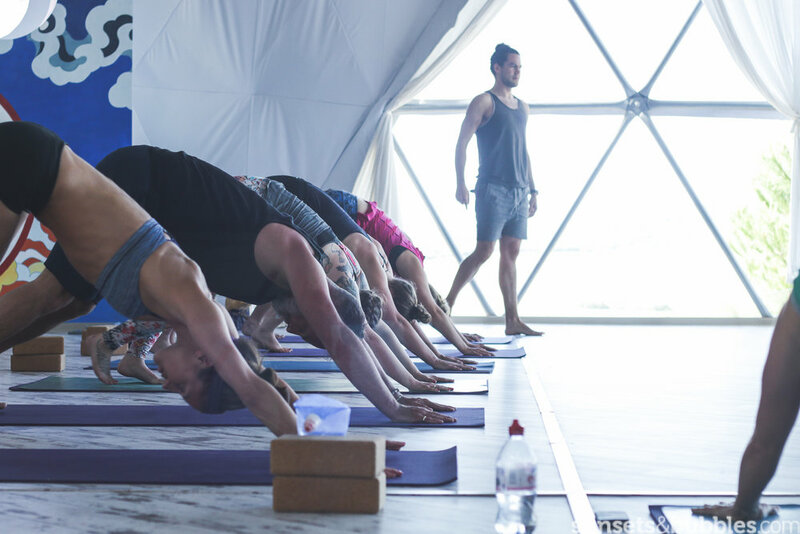 Adam’s creatively sequenced classes feature long holds, controlled yet dynamic movements, intelligent alignment and a focus on integrity, rather that depth, in postures. They’re also dogma free! Each class has a particular anatomical focus, so prepare to be kept on your toes as you explore mobility, flexibility and strength as a vehicle for the practice of self enquiry. Every asana and variation has a rationale in the the context of each sequence, so feel free to ask Adam ‘why?’ Adam seeks to remind all that an asana practice is a very subjective experience, and whether you are a yoga teacher or new to the practice, there will be plenty of options to challenge all. 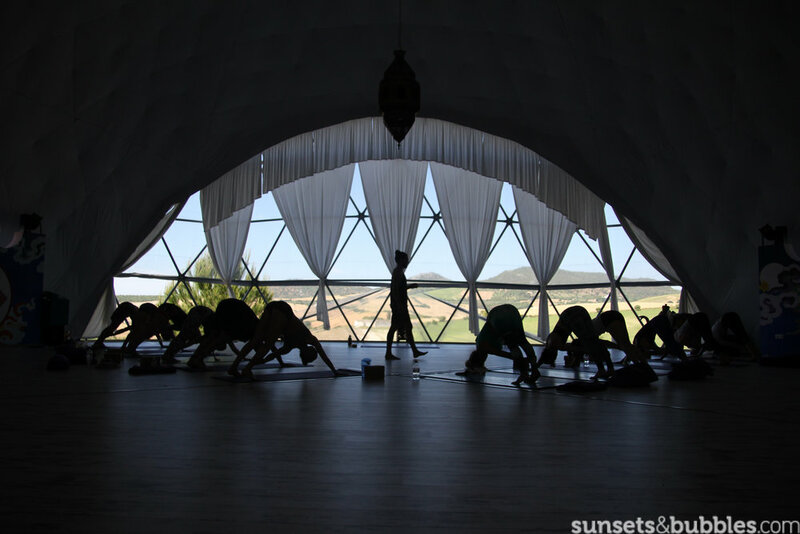 Based in London, Adam teaches public classes, online yoga, and regular international workshops, retreats and festivals. Having fallen head over heels in love with the practice and its healing benefits some years ago, Holly completed trainings in Vinyasa and Yin yoga with her teachers Jamie Clarke and Dulce Aguilar. She now shares her teaching across London in top London studios such as Equinox, Heartcore and One LDN, and has also put huge energy and passion into growing Soul Stretch; a growing community of wonderful yogis based in south London. Her musical roots, which once had her touring the country in a girl band and performing on the O2 London Arena stage, have now guided her to sound healing with her beloved Alchemy Singing Crystal Bowls and her voice. Holly truly believes in the power of yoga and the magic of sound to bring us all back home to our true selves. In Holly’s yoga classes you can expect flowing, controlled sequences, accompanied by a beautiful playlist designed to help you journey deeper; and her crystal bowls will leave you vibrating in bliss from the inside out! 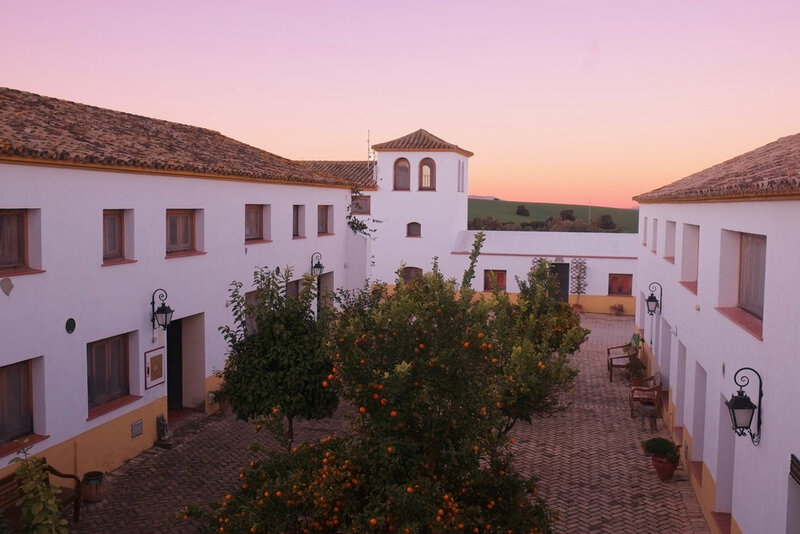 You’ll enjoy 7 days in the rolling Spanish hills of Andalucia. 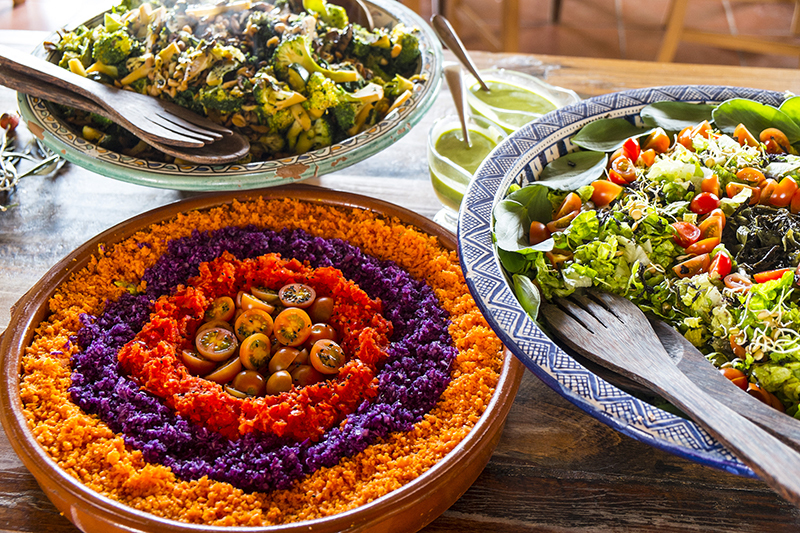 There will be three tasty, organic, vegetarian meals a day, laid out for you buffet-style. And don't worry if you are a peckish type; there’ll be hot drinks and fruits included and available all day. 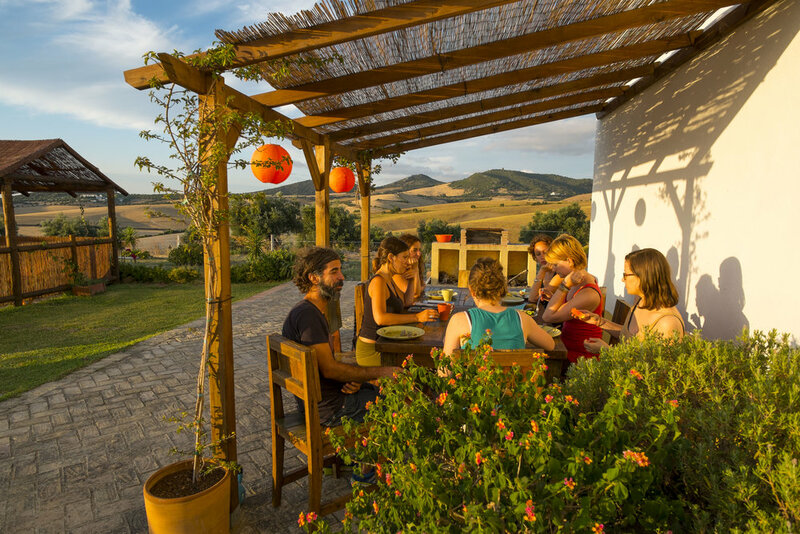 Yoga teachers from around the world are enchanted by this beautiful renovated farm house nestled in the wheat fields between the two small town of Prado del Rey and Villamartin. When you’re not on your yoga mat in their fully equipped studios, you can top up your tan next to the salt water swimming pools, head to one of the pagodas and have a relax on a hammock, wander the gardens and say hello to the animal residents or maybe even treat yourself to a massage! 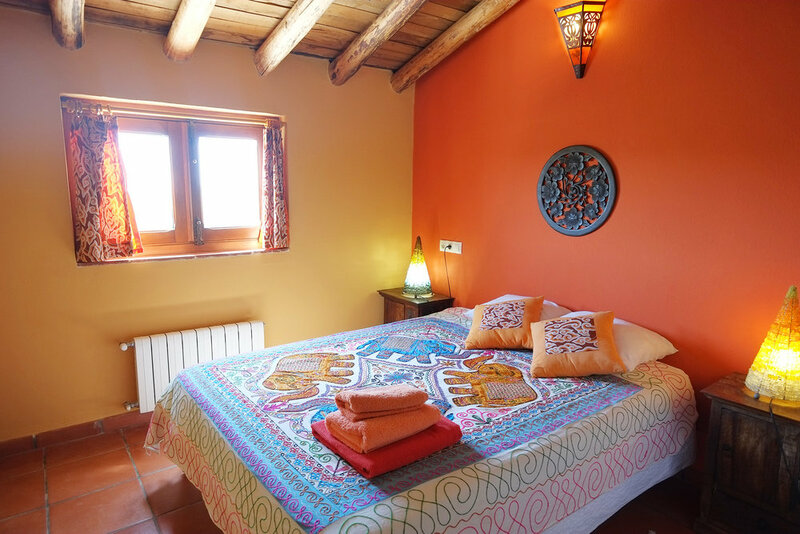 The hosts have this is hand and have a full catalogue of activities for you including: horse-riding treks, hiking, kayaking, cycle rides, Turkish baths, beach days, and flamenco classes. Prices depend on activity and number of participants. The recommendation is to fly to Seville airport. Transfers can be organised for you at a cost of approx. 90 Euro per car of four. Jerez (nearer) and Malaga (further) airports are also possibilities. There are lots of pricing options for you in Suryalila’s Asian inspired accommodation. 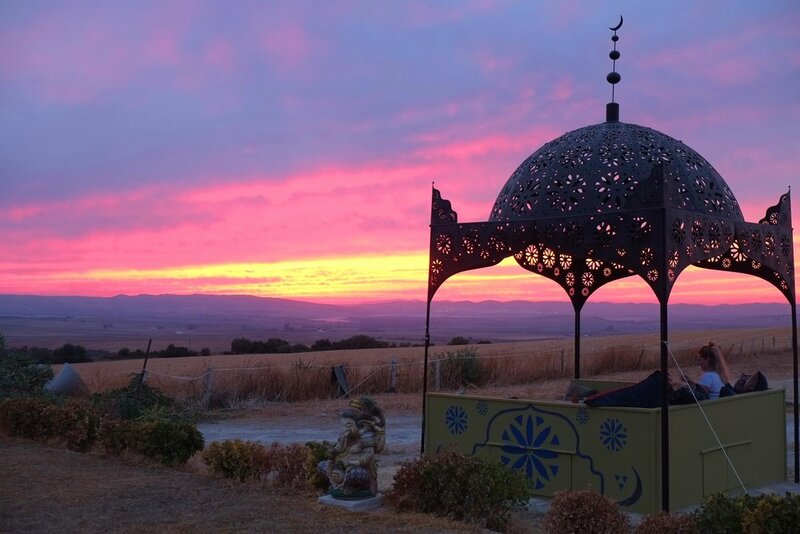 Prices below are per person for 7 nights accommodation, yoga and meals, from Saturday 20th lunch to Saturday 27th breakfast. Transport is not included. Single Occupancy - £1195 p.p. Single Occupancy - £1295 p.p. Single Occupancy - £1095 p.p. Single Occupancy - £895 p.p. Shared Occupancy - £745 p.p. all locally grown, organic, vegetarian food, produce by on-site kitchen team, buffet style. Use of yoga equipment and communal retreat facilities. As teachers of asana in 2018, we are navigating through a yoga world where are required to be commercial savvy, skilled marketeers who are up-to date with the latest studies on the human body and teaching increasingly broad demographic with different expectations of their yoga practice. This can be overwhelming and through it, it’s often a easy to loose connection with why we practice and teach yoga in the first place. This optional training is designed to both enhance your teaching, but refresh your enthusiasm too! Discussions on life as a yoga teacher including; marketing, why we teach and developing your career. We’ll also practice more too! Email adam@adamhusler.com or hello@soulstretch.co with any questions. A 30% non-refundable deposit is required to hold your space with the remainder due by at least March 20th 2019.